We are a New York based FinTech company founded by experienced hedge fund executives. 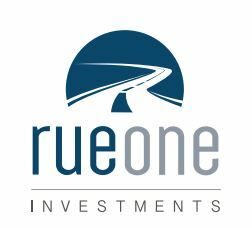 RueOne Investments is a direct investing platform that is transforming the alternative investment industry. We connect accredited & institutional investors to a curated selection of individual alternative assets that are underwritten by RueOne and sourced, structured, and managed by industry leading investment managers. Through our web based portal, investors have the ability to browse investments, conduct extensive due diligence, execute documentation, wire money, and monitor their investments. We have made the investment process as simple as possible, allowing investors to focus their efforts exclusively on evaluating the merits of individual investment opportunities. We differ from traditional alternative asset investing in that we provide direct access to individual assets instead of access to investment funds comprised of a portfolio of many assets. Our process enables investors to capitalize on the deal flow, structuring expertise, due diligence capability, and ongoing management of professional asset managers while still having the ability to evaluate and invest in single assets based on their specific merits. Job Description: We are seeking a driven and entrepreneurial individual with experience in evaluating, pricing, structuring, negotiating, executing, and monitoring private transactions. The candidate will interface with external asset managers with the purpose of investing in alternative assets including private debt, private equity, venture capital, real estate investments, distressed opportunities, restructurings, and other structured transactions. The candidate will join as a senior partner. Please contact jeff@rueone.com if you are interested. Replicating Famous Hedge Funds | Allaboutalpha: Alternative Investing Trends And Analysis | A Finance Blog About Private Equity, Commodities, And Other Alternative Asset Classes.